Species: Degelia plumbea sens. str. Photos: On Oak. Tomies wood, Killarney, Co. Kerry, SW Ireland. Usually fertile, squamules present but lacks isidia. 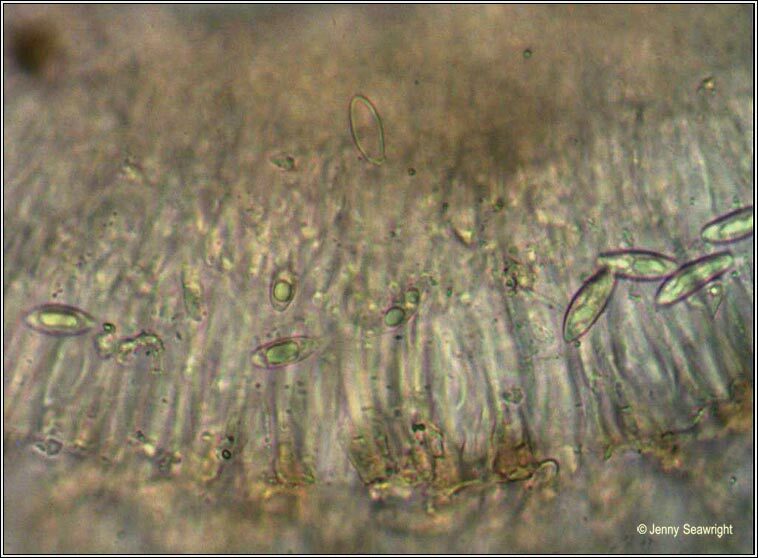 Thin lobes, bluish-grey, tinged +/- yellow-brown, network of linear maculae most noticeable towards margins. Blue-black hypothallus. 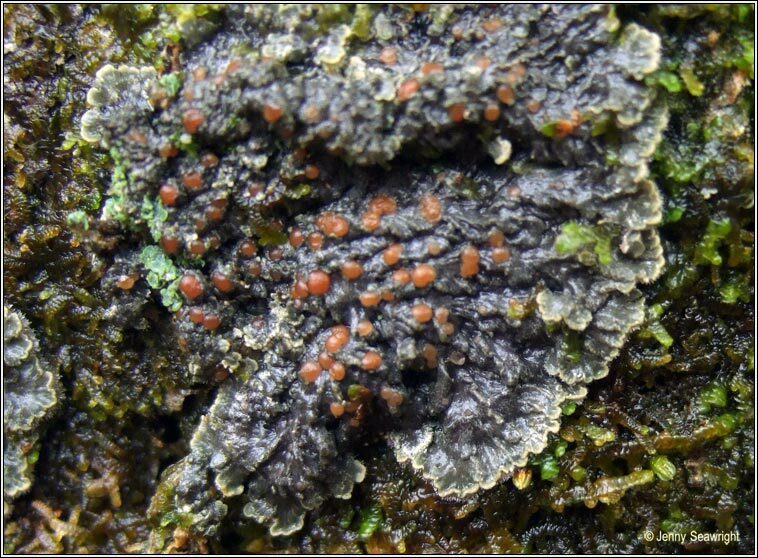 Apothecia frequent, light reddish-brown. 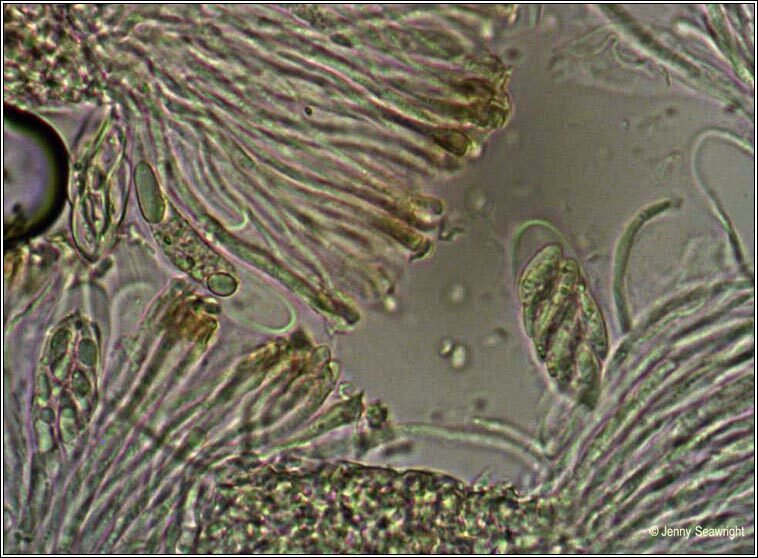 Ascus 8-spored, spores simple, colourless, 17-25 x 7-10 µm. Microscope photographs below. Chemical reactions negative. 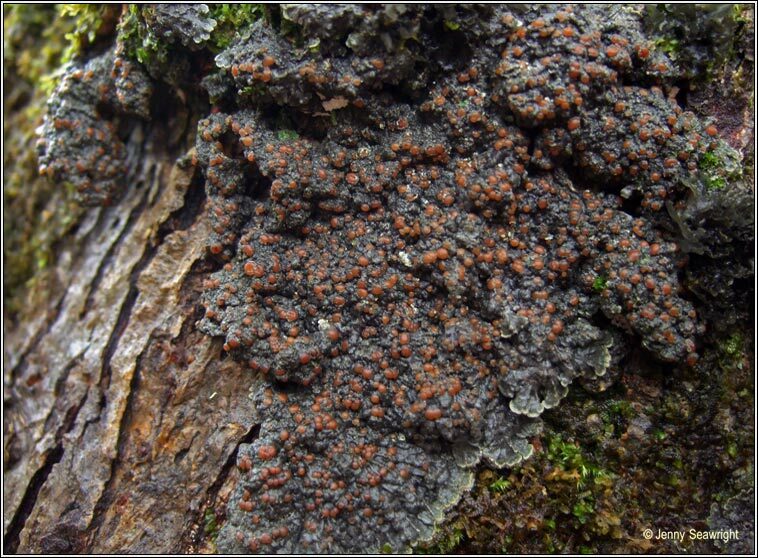 Occurs on well-lit trees in un-disturbed woodland, occasionally found on coastal rocks. Most frequent in western Ireland. 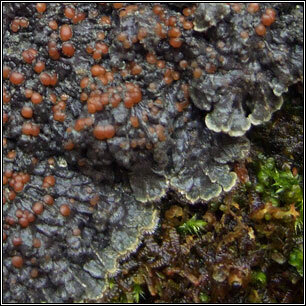 Similar: Degelia cyanoloma was recently restored to specific rank, having been formerly included with D. plumbea.